As an active participant in historic racing, rallies, and concours events worldwide, Mark understands which cars have eligibility and are best suited for each event. Some of these racing events include the Classic Endurance Series (CER), Historic Grand Prix Series, Goodwood Revival, Le Mans 24 Hour Classic, Modena Cento Ore, Monterey Motorsports Reunion, Old Timer Grand Prix, Nurburgring, Silverstone Historic Festival, Sonoma Historic Festival, Tour (de France) Auto, Tour de Espana, and Spa 6 Hours. 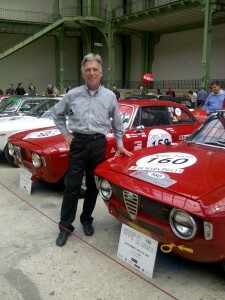 Rallies include the Colorado Grand, Mille Miglia, and Rallye des Alpes. Concours participation includes the Quail, Concorso Italiano, Pebble Beach, La Jolla Concours, Carmel Concours on the Avenue, and Dana Point. Historic car racing, rallies, and concours are sports that are growing rapidly with events across the USA and Europe. These events are an opportunity for passionate collectors to enjoy using their cars as these cars’ original designers intended, in competition. If you are interested in joining our team, please visit our Careers page for a list of current openings.